The Vision and Work of Indian Culture: The Past and The Future | Fourth Dimension Inc.
Indian Culture had a great vision of life and made an equally great attempt to realise its vision in the collective life of the community. Its vision of human life and existence is the deepest, highest and greatest ever conceived by the human mind; its attempt to mould the collective life of the community according to its ideals is the noblest attempt ever made in the history of human civilisation. The spiritual vision of Vedic sages has still a living relevance for the future evolution of humanity. 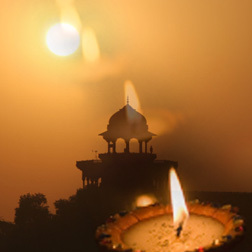 To rediscover this vision, give it a new form suited to the conditions of the modern age and illumine the consciousness of humanity with its creative light are some of the future tasks of Indian Culture. But, in its attempt to realise its vision in the collective life, the ancient Indian civilisation achieved only a limited and partial success. Here comes the most important part of the future work and mission of Indian Culture. We have to discover the cause of our past failures and find the right and corrective remedy in conception as well as in execution. This issue is an attempt to trace the vision and work of Indian Culture from its past to the future – its spiritual vision of life and human development, its great attempt to shape the communal life according to its vision and ideal, the causes of its limited success and the greater vision which India has to rediscover and manifest in the future.